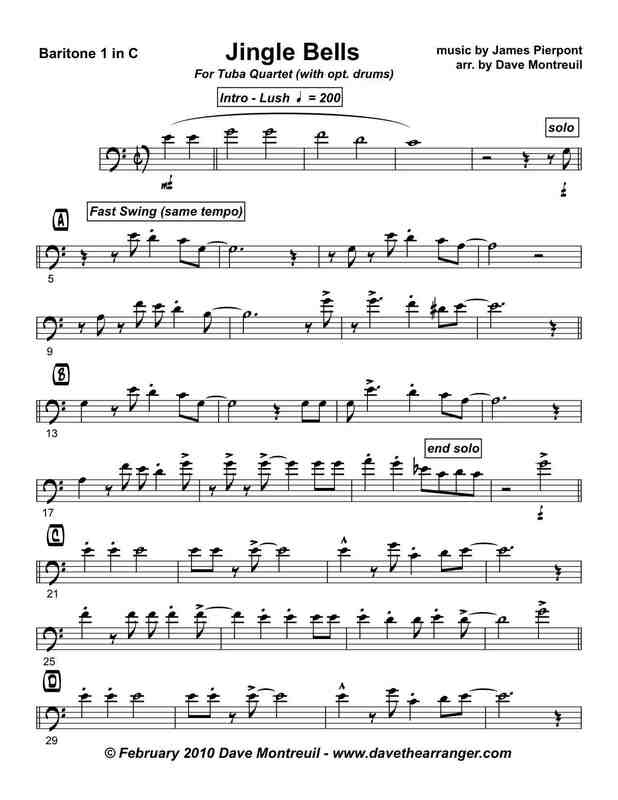 The most requested song from the Festive Brass repertoire, Jingle Bells has been adapted for Tuba Euphonium Quartet. New Orleans Swinging Street Band pretty much says it all. And it is not too hard to play, either. The notes stay in a comfortable relaxed range - a 'G' on top of the staff for trumpets, and an 'F' above the staff for lead trombone. There is a separate drum part to add excitement to the arrangement, but it still has plenty of excitement without. The duration of the song is under 2 minutes, but sections can be repeated as needed. A great way to end a Christmas performance!